In response to the tornado that hit Oklahoma this month, World Vets teamed up with the American Animal Hospital Association (AAHA) and BlogPaws to help animals impacted by the disaster. World Vets set up a tornado relief fundraiser that provided direct support to three organizations operating in the area. 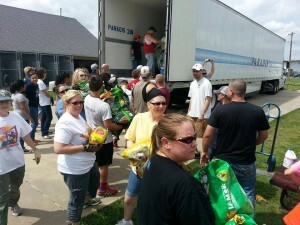 The recipient organizations were the Central Oklahoma Humane Society, the Oklahoma State University College of Veterinary Medicine Animal Relief Fund and the Pampered Pets Veterinary Clinic Disaster Relief. We also sent a truckload of veterinary and pet supplies that were delivered as part of a shipment organized by local Fargo, North Dakota TV station Valley News Live. These donated supplies were set up next to the “Reunion Facility” for owners that had been recently reunited with their pets to “shop” for food, crates, toys and more. A huge thank you is in order to all of those who have supported us and our partners; BlogPaws, American Animal Hospital Association (AAHA) and Pet360, and everyone who contributed to our tornado relief fundraiser – it made a huge difference in the lives of both pets and pet owners affected by the disaster. Dr. Joe Zulty in recovery with Puma after his leg amputation. 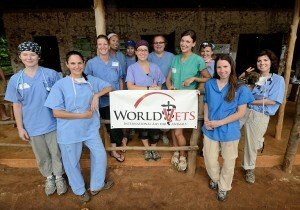 World Vets Cusco, Peru project 2012. It begins in the stone streets of Cusco, an ancient city of 600 thousand people, constructed by the Incas in the magnificent Andes mountains at 3,400 meters above sea level. There are many dogs in the streets, in doorways, everywhere. Unlike those of the U.S., these dogs are very talented. They know how to negotiate the streets, to stop at corners, and incredible how to avoid traffic. Well, maybe not all of them. 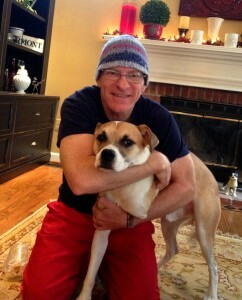 Dr. Joe Zulty with Puma following World Vets project in Maryland, USA. two was scruffy but OK, the younger one however needed our help. He had a paw that was completely paralyzed and severely swollen. Its appearance was that of the paw of the Puma in the ancient wall of the Saqsayhuaman ruins. And there was something else worth mentioning. Perhaps another sign from the Incas, I am not sure. It is that moment in time that captures your heart and gives a true relevance to why we do what we do. One of the police officers, a woman who was especially very quiet and very reserved, spoke not with words but with the hardly noticeable tears in her eyes. Those wet eyes touched me, made their way to my heart, and reinforced what the Incas were trying to tell me. With the assistance of Monica Chacon of Pataz Pro Animalista Cusco, officer Glenda Anchea Garavito, Dr. Edgar Ochoa and his colleagues at Lazzie Vet Clinic, and the spiritual support of the Incas, the process of transporting a dog from one hemisphere to another became a reality. The forces were too strong. It was meant to be I suppose. In the airport in Cusco, my son Zack and I , with our new pet Puma, said goodbye to our friends from Cusco and of course the conversation was full of tears. But special moments like this do not come often. I was proud to be a veterinarian. I was proud of having worked with people who make a difference in the life of an animal. And I am pretty sure the ancient Incas were smiling from above. 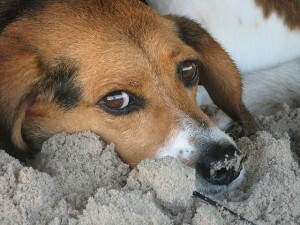 **This article was written by Dr. Joe Zulty, a World Vets field service veterinarian. This article reflects his participation on World Vets Cusco, Peru project in 2012 when Puma was assisted and then adopted. 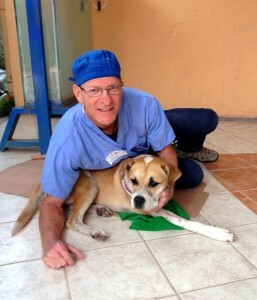 Dr. Zulty is leading a World Vets small animal project to Sosua, Dominican Republic in November 2013. Read more about this volunteer opportunity here. 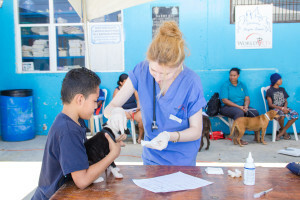 Volunteer veterinarians are still needed for two small animal projects that are scheduled to take place this summer in Ecuador (July) and Nicaragua (August). 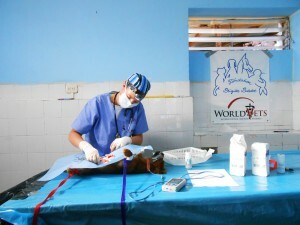 World Vets has been working in both areas since 2009 and has well established spay/neuter and animal health projects in and around Otavalo/Ibarra, Ecuador and San Juan del Sur, Nicaragua. 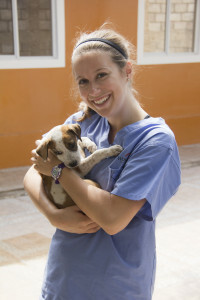 On a small animal project, veterinarians are typically involved in providing sterilization surgeries for cats and dogs, medical diagnosis and treatment, health consultations, and may be involved in performing other surgeries, teaching and/or instruction to students and/or local volunteers or pet owners. Aside from three full days of veterinary work, volunteers will have free time to explore the local area and/or do some sightseeing and activities. Whether you like the beach or the mountains, either location has much to offer as a travel destination. World Vets recently deployed a volunteer veterinary team to Granada, Nicaragua as part of our equine welfare project in the area. 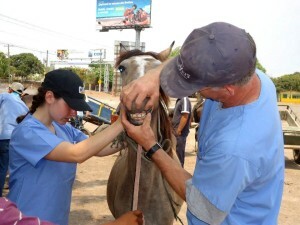 Our team, along with Nicaraguan veterinarians and students, held a free equine welfare clinic in and around the city which benefited 300 horses. This clinic targeted carriage and cart horses whose owners can`t afford veterinary services for their working equines. Services included parasite control, hoof and dental work, vaccinations, castrations, pregnancy checks, wound treatments, mass removals and more! This project is generously supported by Fondation Brigitte Bardot. 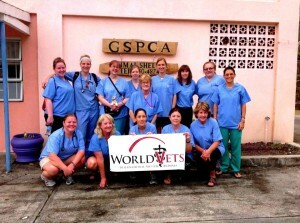 In April World Vets sent an all female volunteer veterinary team to St. George’s, Grenada. 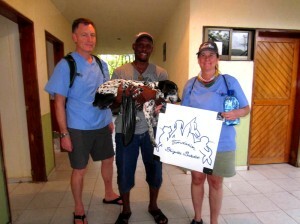 There they worked in collaboration with the Grenada SPCA as well as students from St. George’s University. Together we provided a large scale spay/neuter and animal health campaign which resulted in animals from all over the island benefiting from our free services. We’d like to thank World Vets veterinary volunteers as well as GSPCA and St. George’s University for all of their support in making our visit and campaign a reality. 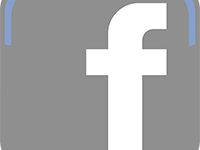 World Vets strives to work in partnership with foreign animal welfare groups, veterinary professionals, local and national governments and NGO’s as well as their respective agencies responsible for animal welfare, agriculture and public health. 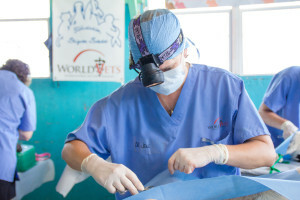 Throughout the year World Vets sends volunteer veterinary teams, who work in collaboration with many of these entities, to provide free veterinary services to animals in need. More specifically, we provide skilled teams of veterinary professionals to execute large scale community and/or island wide veterinary care. If you would like to request that a World Vets team visit your area in the coming year to provide free veterinary services, please send an email to info@worldvets.org to receive our official requesting veterinary assistance form.This form must be filled out by a member of the requesting organization and/or animal welfare or volunteer group who resides in the requesting project location. We will be accepting new project requests for 2014 until August 1st, 2013. 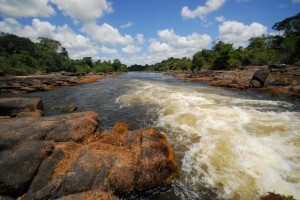 1 Spot Left on our Pilot Project to Suriname! There is just 1 TECH/STUDENT position left open for our June 2013 pilot project to Paramaribo, Suriname, located in South America. The “Tech/Student “position is open to licensed and non-licensed veterinary technicians as well as pre – veterinary students, veterinary students and veterinary technology students. To learn more about the anticipated activities and tasks under this category, see volunteer descriptions. 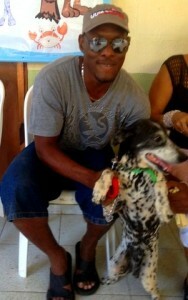 “Pecas”, a 13 year old female dog, arrived at our most recent spay/neuter and animal outreach clinic held last month in San Andres Island. Overall she was in good shape and generally well looked after. However, over her lifetime she had had countless litters and was still cycling in her old age. For fear that she would accidentally become pregnant again, her owner wanted to have “Pecas” spayed. While this was not an uncommon scenario, what made this case especially unique was that “Pecas” had recently been diagnosed heartworm positive by a local veterinarian. She was also discovered to have a fast heart rate and murmur. It was claimed that because of this condition she would not likely survive the surgery. 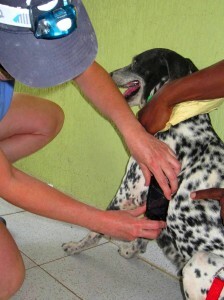 Our team spoke at length to the owner and advised on the ideal way to get “Pecas” spayed – with gas anesthesia and more monitoring equipment – luxuries that were not present at our field condition clinic. Unfortunately this was not a viable option either as such equipment did not exist on the island for animals and the owner could not afford to fly “Pecas” to the Colombian mainland for the procedure. After much consideration and being made aware of the risks involved, “Pecas” owner elected to have the surgery done as he believed it was in her best interest. Even though we did not have a fancy surgical suite, we did have on hand an AliveCor heart monitor to run an EKG as well as monitor “Pecas” heart rate. 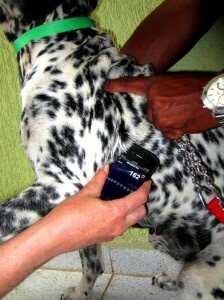 World Vets veteran Dr. Michelle Ward monitored “Pecas” with the AliveCor while Dr. Barry Nichols performed the surgery. Upon her return to the United States, Dr. Ward had the EKG analyzed, which confirmed that there were no EKG abnormalities. We would like to thank Antech for donating their services in the EKG analysis. We are happy to report that “Pecas” recovered very smoothly from the anesthesia and had been doing great following her discharge from the clinic. In the end, the owner was very happy that he had decided to do the surgery and that World Vets had come to the island making her surgery impossible to possible. 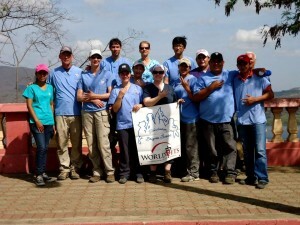 During the whole month of March, World Vets operated its International Veterinary Medicine (IVM) Program out of its Training Center facility located in Granada, Nicaragua.This program is specifically designed for veterinary, pre-veterinary and technician students who wish to gain clinical and practical experience, in addition to immersion within the field of international veterinary medicine. This program also provides volunteer opportunities for licensed veterinarians as well as licensed veterinary technicians as instructors. As a result of this program, 214 spay/neuter surgeries were performed (during the month of March) on community owned animals that were in need of the operation. These much needed spay/neuter services, as well as any additional medical treatments, were provided free of charge to pet owners and the community. 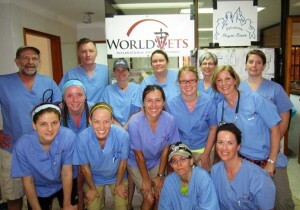 During Semana Santa (Holy Week), World Vets had a veterinary team on the Caribbean Island of San Andres Island. 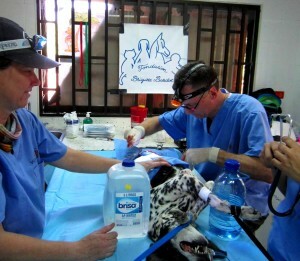 We provided a large scale spay/neuter clinic and also attended health consultations. All services were provided free of charge. The island currently lacks regular veterinary services for small animals and our clinic, in collaboration with the island’s department of health, saw up to 300 animals and performed 198 surgeries in just a couple of days. We’d like to thank the San Andres Island department of health for all their efforts that went into coordinating this event as well as World Vets volunteers and Fondation Brigitte Bardot for their support of this project.